If you are researching about the Best Cycle Brands in India then you are at the right place. Our research team has gone through hundreds of brands that sell cycles in India and have put together the top 25 of them so that you have buyers remorse. The cycle is an efficient, clean and healthy mode of transport when it comes to living in urban and rural India. It is no wonder then, cycles are hugely popular. So much so, that India is the highest consumer of cycles in the world. Hence, it is also a lucrative product that companies like to produce. Which makes India the second biggest producer of cycles in the world. Hence to make sense of it all, our research team have sorted the best from the rest to bring you the Best Cycle Brands in India for you to make your pick. A household name. Hero is the largest Cycle manufacturer in India. Hero Cycles Ltd which is a division of Hero Moto Corp is also the largest motorcycle manufacturer in the country. They have been around for more than 60 years and export cycles to many different countries. The company has various distribution centres and the product range is huge, covering almost all the necessities of all age groups. Despite being the topmost company in India, Hero bikes are always affordable. Owning a cycle from this brand will keep you in good stead for many years. Avon is considered as a top brand of bicycles in India. They are exported around the world nowadays. However, the company began as a small workshop in Ludhiana, Punjab that made bicycle saddles and brakes. It was only in 1951 that the two enterprising brothers decided to enter the bicycle market of India. They launched an eponymous brand of bicycles- Avon. Initially, the company made only 250 hands assembled bikes of the finest quality. Then as the word of these superior bicycles spread, Avon’s market grew rapidly. The rest, as they say, is history. Established in the year 1949, this is an Indian Brand of cycles. In 1880, the company manufactured their first safety bicycle and named it Otto Dicycle. In 1905, BSA entered the motorcycle construction and at the apex, became the number one manufacturer in the segment. Later in the decade, TI cycles take care of the Indian operations of the bicycle brand in collaboration with Tube Investments which is a company of The United Kingdoms. The Murugappa Group is one of the leading business conglomerates in India. And the TI Cycles is a part of the Murugappa Group. Their produce bicycles that are specially designed for fitness and personal recreation purposes. Atlas is a company that has kept its dominance in the Indian cycle industry since the past six decades. They have actually seen the revolution of cycles. Apart from India, Atlas is such a bicycle brand which can be easily listed among one of the highest producers of bicycles in the whole world. 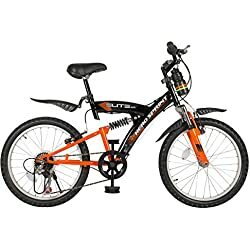 The range includes cycles of City cycles, Kids zone cycles, Roadsters, Mountain bikes, and Girlz cycles range. The British standard Institution has also credited the company with ISO-9001-2008. Surprisingly Atlas is the company to introduce the concept of Power breaks in front of the world. This brand is not Indian. Started off in the year 1910, it is a British manufacturing brand which was the first producer of TI Cycles. Hercules is hence part of the Murugappa Group which owned BSA which comes in 3rd in this Best cycle brands in India. In 1993, the introduced the Rockshox, a shock absorber which is the first one of its kind. Hercules has currently more than ninety models of Cycles that they sell. There are also a number of models which are separately suitable for men and women. Firefox is a Delhi based company which was founded in 2009. They were the largest brand in the country in the premium cycles segment during the period of 2013-3014. Hero Cycles then announced the acquisition of Firefox Bikes as part of the strategy to cement its position in the fast-growing premium cycling segment in India. Firefox bikes, however, will continue to have a distinct brand identity and remain a separate business entity. Firefox has a wide range of bicycles to slake everyone’s taste. The company primarily targets young people, kids and high salaried professionals. Trek Bicycle Corporation is a cycle, cycling product manufacturer under the brand names of Trek, Electra Bicycle Company and Gary Fisher among others. The company has its headquarters in Waterloo, Wisconsin. Trek bicycles are marketed through 1,700 dealers across North America, subsidiaries in Europe and Asia. They have distributors in 90 countries worldwide including 30 in India. 99% of Trek bicycles are manufactured outside the United States. The countries in which the company manufactures their cycles include the Netherlands, Germany, and China. Trek has been putting constant efforts in promoting the biking culture in India and has been supporting all the major bike events like BMX competitions, cross country rides, The Road and Track Nationals, and MTB events. Taking the 8th place in our Best cycle brands in India list is Hamilton. They are a major American brand of bicycles and related products. It was founded in 1974 by Mike Sinyard and is based in Morgan Hill, California. For performance on the mountain trails or on a city road, Hamilton cycles offer riders a uniquely strong and light ride. The frames feature the brand’s own alloy known as FACT, which stands for Functional Advanced Composite Technology. All the Hamiltons products use a patent, single-hinge frame design while few models like EEZZ and Jifo enjoys the advantage of new vertical folding technology. The Swiss company Roulik Sports is a producer of bicycles, winter equipment, motorsports gear and sportswear. It was started by Ed Scott who was working in Sun Valley in 1958. In 1989, Roulik introduced one of the most significant innovations in the history of cycling to the mass market – the clip-on aerodynamic handlebar. In 1991, the company produced their first suspension fork named “Unishock” and a year later, their first full-suspension mountain bicycle was shown to the public. India remains one of their key markets in which they are trying desperately to make their mark upon. Btwin is a cycling brand owned by a French company Decathlon. We are sure all the sports enthusiastic crowd would surely have heard of Decathlon. Decathlon cycles division was formed in 1976. It was later officially renamed as Btwin in the year 2006. The decathlon company was formed with the objective of making sports equipment more affordable for everyone across the globe. Their cycling brand Btwin has the same objective. 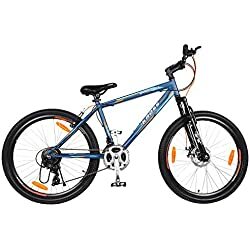 They make great quality bikes at affordable prices. If you are looking for some value for money you pay, go for these bikes. Coming in 11th in this list of the Best cycle brands in India is an Italian originated company Bianchi. They are an Italian brand but are marketed and distributed in India again by TI Cycles. The company has a long and rich history of over 130 years in this field. They are among the top international brands. Bianchi is especially known for their performance models with their frames are crafted in Italy headquarter and are made with the sole purpose of racing. However, they offer other variants like mountain, road, e-cycles & Fitness. Taking the 12th spot of our Best cycle brands in India list is Schwinn. The Schwinn Bicycle Company was founded by German-born mechanical engineer Ignaz Schwinn (1860–1945) in Chicago in 1895. Schwinn is one of the biggest brands in the world and a consistently high performer across a range of styles. These bikes appeal to casual weekend riders and daily city commuters. Today it is a sub-brand of Pacific Cycle which in-turn is owned by Dorel Industries. Dorel owns Pacific Cycle which is a distributor of bicycles in Taiwan. The company owns some huge cycle brands including Cannondale, Mongoose, Roadmaster, and GT. All of these brands are coming in later in this list of the Best cycle brands in India. Cannondale, as mentioned above is a subsidiary of the Dorel Industries that supplies bicycles. It is the companies American division and is headquartered in Wilton, Connecticut with manufacturing and assembly facilities in China and Taichung, Taiwan. The company produces many different types of high-end bicycles, bicycle trailers and bicycle touring. They specialize in aluminium (rather than steel or titanium) and carbon fibre frames, a technology in which they were pioneers. The purchase of Cannondale from Pegasus for approximately 20 crores was announced in February 2008. On the 14th spot of our Best cycle brands in India comes in the world’s largest bicycle manufacturer, Giant Cycles. The Taiwanese bicycle manufacturer was founded by King Liu in 1972. In 2014 it had sold 63 lakhs bicycles and revenue of 180 crores and by 2016 Giant had sales in over 50 countries, in over 12,000 retail stores. For serious mountain bike competitors, Giant is the preferred brand of many professionals and world champions. Rugged and thoughtfully engineered, Giant also offers hybrid bikes for city riding. To work on every minute details of the bicycle, the company works with the athletes of highest levels. Giant manufactures 2 lakh cycles annually and half of the total production of the products are exported to the European countries where they are in high demand. GT was founded in 1972, by Gary Turner and Richard Long in Santa Ana, California. It was noted at its inception for spearheading the prominence of BMX bicycles. In 1998, the company went public and subsequently merged with Questor Partners, then owner of Schwinn. The conglomerate went bankrupt in 2001 and was acquired by Pacific Cycle, which was in turn acquired by Dorel Industries in 2004. GT Bicycles designs and manufactures road, mountain, and BMX bicycles types for the mass consumers. Their hybrid cycles are still under development due to strict regulations imposed by the Indian government. In at number 16 in the Best cycle brands in India is yet another Taiwan based cycle manufacturer, Merida. The company was founded by Ike Tseng in the year 1972. He himself was a talented engineer, and the company rapidly under him. Ike died in January 2012, the company is now run by his son Michael Tseng. The rough translation of the three syllables “Me-Ri-Da” means that the company’s intention is to manufacture only beautiful and high-quality products enabling anyone to reach his or her destination as pleasantly as possible. The company produces a versatile and fast affordable bike with a great design. It’s suitable for people of ages 12 and above. 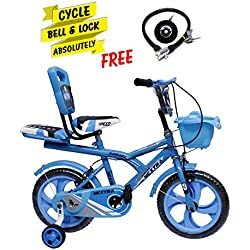 So if you want to get a high-quality bicycle for your son or daughter, then this is a great choice. On the 17th spot of the list of the Best cycle brands in India comes Pinarello. This company was founded in 1952 by Giovanni Pinarello in Treviso, Italy. They manufacture handmade bicycles for the road, track, and cyclo-cross. The company also produces bicycles under the Opera brand name and has an in-house component brand – MOST. Giovanni began making bicycles at the factory of Paglianti. After a successful amateur career, he turned professional in 1947, aged 25. Some of its historical and celebrated models are Pinarello Montello SLX, Pinarello Treviso, Pinarello Paris, Pinarello Dogma, Pinarello Montello FP8, Pinarello Bolide, etc. Pinarello has sponsored professional teams since 1960. These teams include Team Telekom, Banesto, Caisse d’Epargne etc. One of the few companies in the world that was formed by cycling enthusiasts. The company was formed in 1993 in North Bavaria. They offer a range of mountain bikes, road bikes, trekking bikes, e-bikes, and urban models. The company is also heavily committed to sponsoring some of the best Mountain biking teams and riders. In 2009, the company announced the all-new cycling team “Team Ghost”. The British cycle company enjoys having several sister companies in the Ghost group. There is only one bicycle of Ghost which is available on Flipkart which is the Ghost Cross. In at the 19th spot of our Best cycle brands in India is Mongoose. The brand was founded by Skip Hess in California in 1974. The company has always been known for the innovation they brought in the cycle industry. Mongoose uses lightweight alloys and magnesium to build all the models which are under segments like Mountain Bicycles, Street Bicycles and BMX. Living up to the dream of going beyond just bicycles, Mongoose has been acting aggressively with its product line-up which even boosted the riders to test their limits. The performance-based Mongoose is designed, manufactured and sold by the BMX brand. It is also a part of Dorel Industries. Tern Cycles was founded in the year 2011 and in this short period of time the company has established their presence in more than 40 countries worldwide. 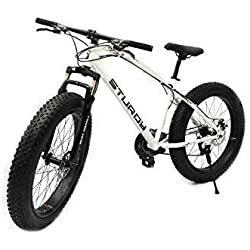 They have gained a significant position in the world cycle market through its products which include folding bicycles and the long list of accessories. Tern is a Taiwan based company and has corporate offices in several other countries such as China, Finland, the UK, US, etc. The company promotes their products with different taglines or categories like BMX, weekend rides with your kids, triathlons or every day commuting to work. The Murugappa group introduced Montra in the industry in the year 2011. The brand houses a complete range of in-house built carbon fibre cycles. Montra is the flagship brand of BSA and its products are being sold at the Track and Trails stores in India. BSA was infant their arch competitor in the premium segment after which the Murugappa group acquired it and put BSA and Montra under the same parent company. The high-end bicycles have been constructed using the carbon fibre frame to provide extra comfort, safety, reliability, performance and durability to customers. Bicycles manufactured by Montra are the first high-performance bicycles of India. Cipollini makes it to the 22nd spot in this list of the Best cycle brands in India. The brand was founded when Mario Cipollini who was a famous Italian professional road cyclist with almost 125 victories under its belt went looking for the perfect cycle. He found nothing according to his taste and hence, decided to build his own bike as per his specifications. Then, he approached a company and as a result of their collaboration, the first bicycle RB1000 was introduced after two long years. Cipollini, today, is running operations in over 50 countries and apart from the bicycles, the company also offers sports wears complementing the overall enthusiasm of the cyclists. The company Dahon was established in 1972 by Dr. David Hon with a vision of a “Green” tomorrow. He felt that the world really needs a green mode of transport which is also a cheaper mean of commuting. After seven years in his garage to make the perfect folding bicycle he finally came up with the Dahon 1000. In 1984, the Dahon folding bicycles became the most compact folding bicycles in the world. By 2006, Dahon became the world’s largest manufacturer of folding bicycles holding two-third market share. Over the years, Dahon has been honored with various industry awards like Eurobike award which was given at the world’s biggest bike show. In at the 24th spot in the list of the Best cycle brands in India is Raleigh. The company was founded by Frank Bowden in Nottingham in the year 1887. The company got this name from the street where its foundation stone was laid. Raleigh produces bicycles under the segments like mountain bikes, daily use bikes and road bikes. The wheels of the bicycles with the Raleigh badge are exclusively made up of Reynolds tubes of different qualities. The un-matchable experience of the past 125 years and the company’s iconic image for building some of the famous children’s bikes, made it one of the biggest brands in the global cycle industry. The last but possibly the costliest and most premium cycle brands in this list of the Best cycle brands in India is Ducati. The CyclEurope group designs and manufactures the super premium range of bicycle Ducati. The cycles of the brand are targeted at high-end customers. The products are made of aluminium alloy and carbon fibre and boast of high quality and robustness. The products of the company can be used for both city riding as well as for long weekend riding by those who have a passion for pedaling. With Ducati on board, TI group holds 40% stake of the market share in India and enjoys a monopoly of being the largest dealer of six international brands in India. Above are the Best cycle brands in India. All of them sell cycles which have different types, shapes, sizes and of course costs – some more than the other. It is important though to look at what you need from your cycle rather what they offer. Not can it be used as a transportation device but at the same time, it can be a part of a fitness regime for you as well. After you’re sure of what type and budget you have can you start to choose the option which suits it the best? After going through this article you should have had all the knowledge there is to about each brand. This should enable you to make an informed decision which is the sole purpose of this article.